Femke Kleisen is proud to present her own original South African themed Fauna and Flora range. 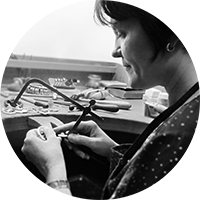 Jewellery design and manufacturing is Femke’s passion and the beauty of nature is her inspiration. Her jewellery is made by using natural lines and simplistic forms translated into precious pieces, ideal for every day wear, to any occasion, with any outfit. This hand-made collection of stunningly crafted art pieces are inspired by wildlife indigenous to South Africa and would makes a stunning gift. Each piece comes in its own signature branded packaging and supplied with its own unique code and a Certificate of Authenticity.